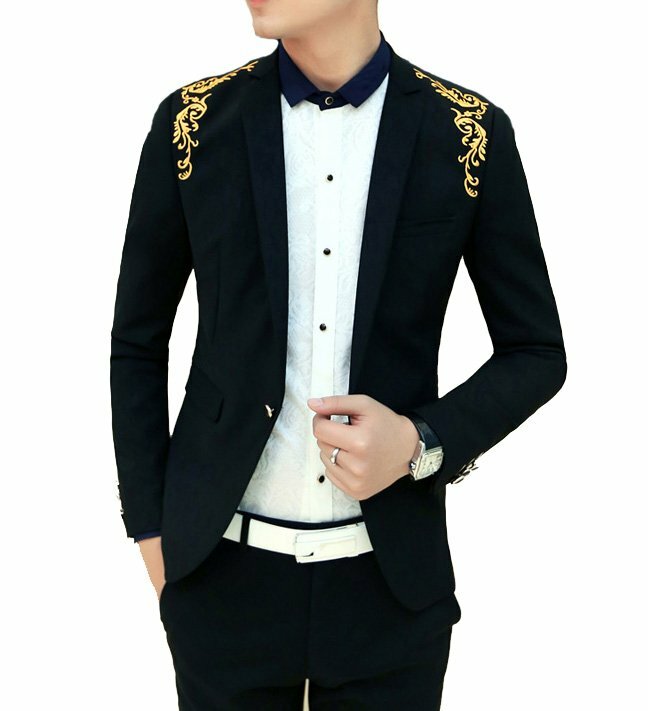 This black and gold blazer with double breasted gold buttons and golden floral lapel is all luxury and you'll love how elegant, stylish, and cool you look in it! 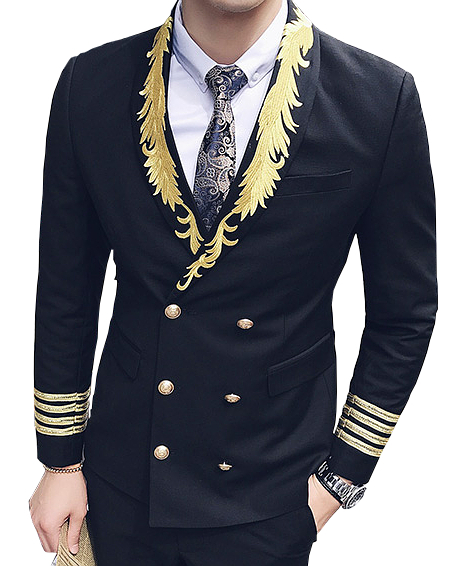 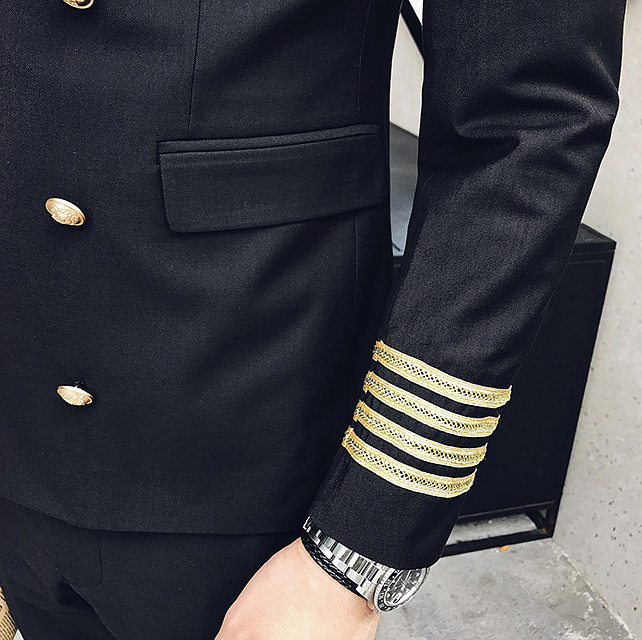 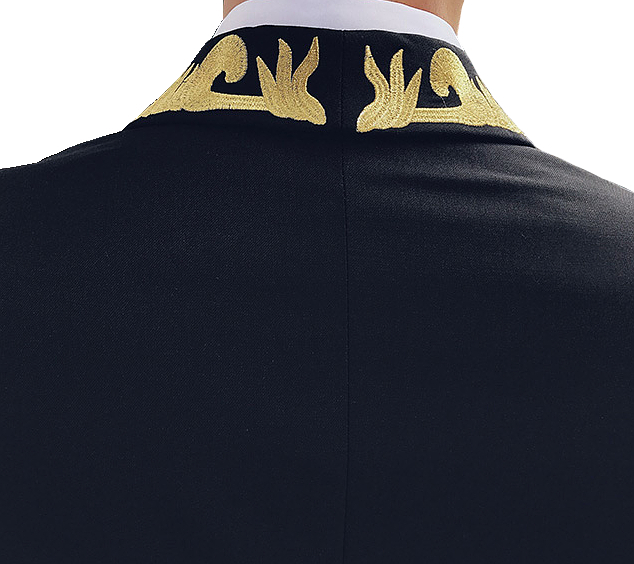 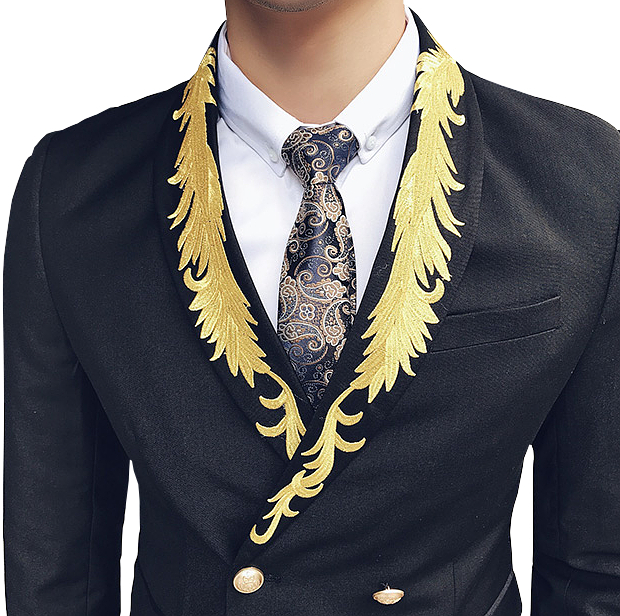 With an incredibly interesting design in the lapel and gold buttons that are stylish 100% will keep you a classy gentleman every time you wear this. 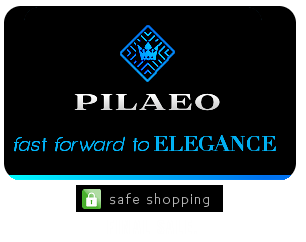 *Limited availability - purchase while this is in stock!